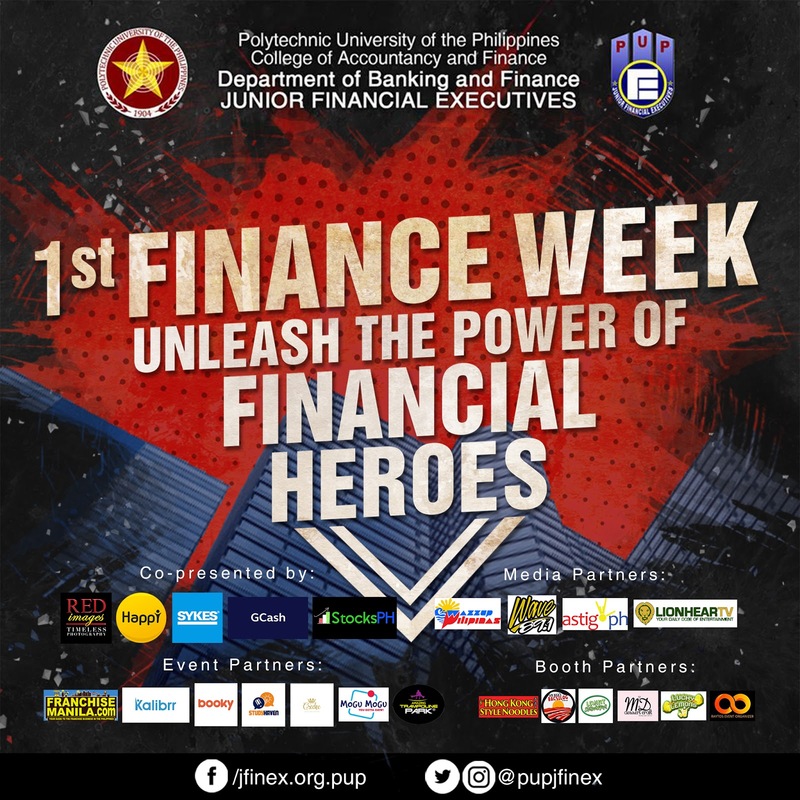 The Junior Financial Executives - PUP Manila chapter an academic organizations in Polytechnic University of The Philippines, launches the first ever Finance week! One of the MOST-ICONIC, SHATTERING and MOMENTOUS event of the year and now as we take it into another level --- with the theme of "1st FINANCE WEEK: Unleash the Power of Every Financial Hero"
FINANCE WEEK formerly Banking Week, is an annual celebration of the Department of Banking and Finance for the successes it achieved for the entire academic year. This is usually a week-long celebration where the organization conducts parade, talent competitions, quiz bees, forums and career fest. The event proper will start on January 30, 2019 and will end on February 1, 2019. The Junior Financial Executives – PUP Manila is a student-run non-profit organization with over 1500 active members, making it listed as one of the biggest JFINEX chapters in the Philippines. The organization intends to promote financial literacy to its members by upholding awareness about the field of banking and finance. With its initiative of molding its members to become successful finance professionals in the future, the organization has been holding different interactive academic and nonacademic events. Its goal for the academic year 2018-2019 is to build relationship with likeminded people during its promotion of financial literacy. The organization aspires to create a lasting difference not just to the lives of the members of its department but also to the whole PUP community through finance.